I’m happy to report that my six-month checkup at the U.C.S.F. satellite clinic in Modesto went really well. Various tests run on me indicated that my lungs are still in good shape. So much so, that I blew the one face mask right off my face. The respiratory therapist was caught unaware and a little alarmed! I continue to be able to walk, talk, eat and breathe fairly normally. So, it’s all a mystery to me after nearly a year of being diagnosed with ALS. Actually, that’s the wrong word to use. It’s a delight. I know I was told that I had a slow progression right from the start. So, long may it continue – or even be miraculously cured! But I mustn’t raise my hopes too much as I still continue to experience right footdrop, and the usual tremor in hands, fasciculations and slight neuropathy in my feet, plus cramps in my hands when they get cold. Apart from that, well, no more stress from work; I love going to the gym at 4 o’clock in the morning (yes, it’s true) and I try to eat sensibly. I have this one good friend of mine who lead me astray a week ago, and I did not drink sensibly. Don’t tell anyone. But, it does take two to tango. And we may have ended up even doing that together. I can’t remember. On a serious note, my heart goes out to all those who are really struggling with ALS right now. It’s only when confronted with such people at close quarters that one really begins to appreciate the situation. We must press on the best we can and wish for a real cure soon. I see that there are over 50,000 people living with ALS in the United States alone. As many as those who are diagnosed with the disease each day die each day. Tomorrow, I shall be having my six-month checkup with my neurologist specialist. It’ll be interesting to see how I’m faring. I’m still able to walk, talk, eat and breathe pretty normally. Although, I do still carry many of the symptoms of motor neuron malfunction. The surprising thing is that I started to experience tremor (the shakes) in my hands far back as Christmas 2007 – ten years ago. Then, I developed fasciculations (muscle twitches) in my right arm, which eventually spread throughout my whole body. I thought nothing of it and put it down to aging! Then came the back pain and foot drop from pinched nerves between my fourth and fifth lumbar region. I eventually ended up having an MRI in 2016 which lead to back surgery on October 10th 2016. It wasn’t until last year when it was obvious there was more than just foot drop going on. After multiple tests, it was finally confirmed that I had ALS on June 21st 2017. Since then, further signs started creeping in, such as neuropathy (numbness in my feet) and cramp in my hands, especially when cold. In the last few months, I have noticed twitching in my lips – which I never had before. So, here’s the kicker. I go to the gym for about 90 minutes four days a week. It seems that the twitching of my lips occurs only when I’m exerting myself, darn it. Exercise has always been a part of my life and I don’t intend to stop. I really believe that the advantages outweigh any disadvantages. So here I am, not really sure what I’m doing but going to have a crack at it! My prime aim is to record my progression of ALS (amyotrophic lateral sclerosis) over time. Having been diagnosed on June 21st 2017, I’m coming up to my one year anniversary of the disease. Normally anniversaries are for celebrating. Well, I guess I am celebrating in a way as I continue with reasonably good health compared with many others suffering from this incurable disease. It gets us all in the end – some quicker than others. We hope to change the status quo as we strive for further research in finding a cure. 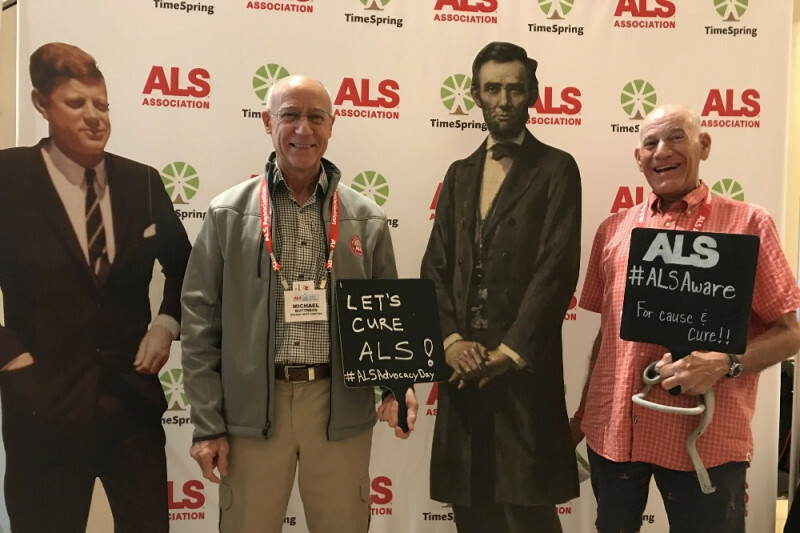 I attended the ALS Association Advocacy Conference in Washington DC on May 13th to familiarize myself with the organization. A concerted effort is being made to gain more recognition from those on Capitol Hill. 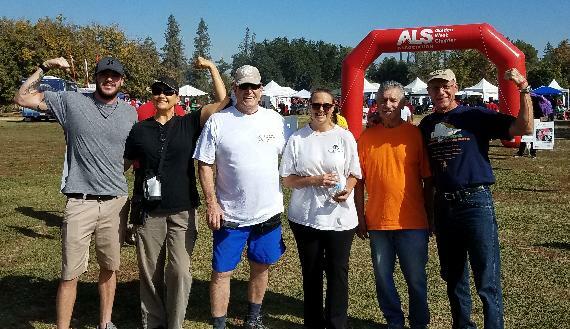 Continued and even greater funding is essential to accelerate ALS research.